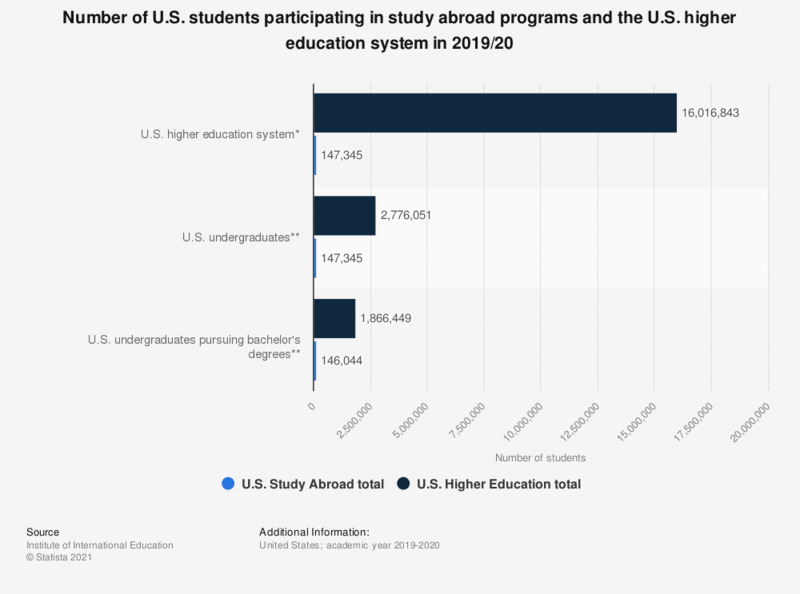 This statistic shows the number of U.S. students who participated in Study Abroad programs in the 2016/17 academic year, as compared to the whole higher education system. 292,467 U.S. students studied abroad in that year. *Total enrollment of U.S. students (excluding international students) in higher education. ** Undergraduate degrees awarded to U.S. students (excluding international students).